← ¡Feliz cinco de mayo amigos! 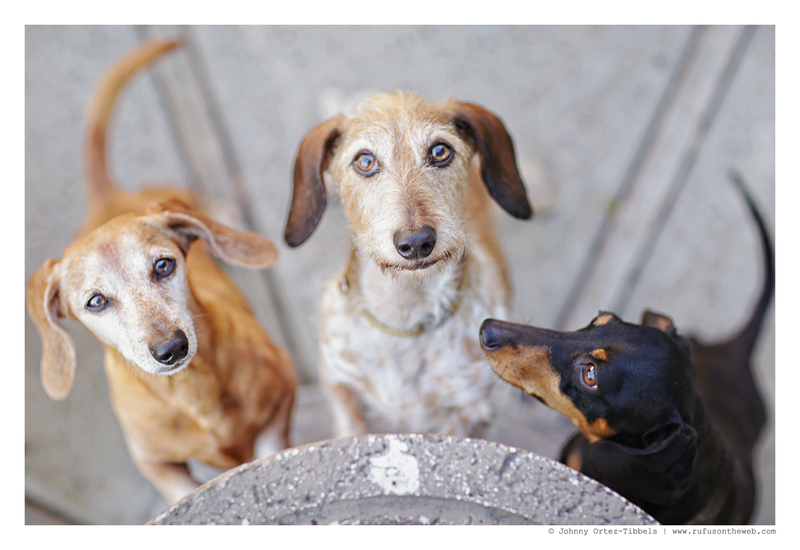 As a dedicated dachshund dude and photographer I take a lot of pictures of my hounds and their friends. Every artist has his own voice and point-of-view, and when I’m snapping shots of these little dogs with big personalities I really focus on the eyes. For me their eyes make the picture and allow us to see that they’re so much more than just their funny looking elongated bodies. When we created the newest Rufus limited edition collectible tees, we had many photos to choose from, and the reason we chose the image that we did was because of the eyes. Yes, we like the extraordinaire pose / action shot of Rufus doing his famous whirling dervish twirl, but moreover, we really liked the sharp, clear and bright capture of his eyes. For us the eyes are window to the soul, and for us, Rufus’ soul is so beautiful. Okay. We had a few inquiries about the shirts so let me try to address them now. First, unlike some other T-shirt campaigns we don’t have to reach a minimum goal for the shirt to go into production. As long as one shirt is sold, the shirts will be produced and delivered and our charity will receive some money. Second, I don’t like to mass produce or distribute my original photography because for me it cheapens it. So like every other shirt we have produced to date, this shirt will not be produced again. So if you like it, get it now because it will not be available in the future. Third, this is the first time we have offered a new collectible shirt since the Summer 2014. We waited almost a year to produce this shirt because we took some serious time to decide on a fulfilment house and design. We really wanted to offer a full color image (and not a silk screened one-color derivative). We wanted a shirt that clearly showcased the original artistry of the image. Unlike other campaigns our image is original (not stock photography) and can only be had right here, right now. Friends, you have four short day left to get your Rufus collectible tee and be charitable. If you have been waiting to get yours, please don’t wait much longer, because in the 4 days the opportunity will be gone. We did add some new color options by popular demand. We have already sold some shirts so for us, we already won. But if you want to take us from a participation ribbon to a bronze, silver or gold medal – buy yours now and help us raise more money for our cause! Many thanks in advance for the support. Have wonderful day friends. 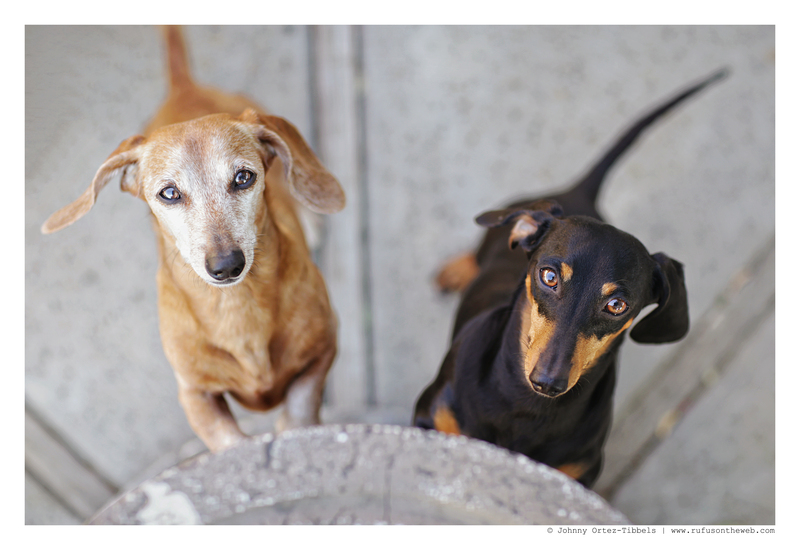 This entry was posted in Rufus and tagged #ADachshundsLife #HappyHounds, #charity #fundraiser, #dachshund, #DachshundPhotography #DachshundArt #OriginalPhotography, #RedDachshund #RedRegalDachshund, #smooth dachshund, doxies. Bookmark the permalink. There is something different and special about Rufus’s eyes. Compare them to any dog and they are different. Very deep entrancing eyes.